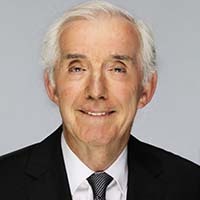 George Parrill | BMG Group Inc.
After forty-two years with The Bank of Nova Scotia, George Parrill retired holding the position of Director of ScotiaMocatta. His area of expertise included thirty-three years with Scotiabank’s bullion team. During his distinguished tenure, he specialized in commodities, risk and liquidity management specializing in bullion. He also managed the trading desk. In addition, he worked with mining companies, central banks, mutual funds, investor clients and media, and oversaw the needs of Scotiabank’s branch network as it related to bullion products. George advises on issues related to precious metals storage and custodial agreements for both BMG BullionBars and BMG Funds.